I haven’t done an organization post in quite some time. The reason behind my lack of posting in this category is honestly my own lack of organization. During the springtime I did a lot of flying by the seat of my pants and every time I fall into that rut I tend to lose sight of many of my personal goals. So…with the ushering in of summer vacation I am ready to get back on track with those organization goals I set for myself back during the bleak winter time. I have jumped back into meal planning and regular grocery shopping as evidenced by my restocked pantry shelves and the mounds of dishes in need of a good rinsing . For about two weeks I’ve gotten back into the habit of planning my meals in advance which increases my chances of a home cooked meal by about 80%. When I just “wing” it and am disorganized about it I am far more likely to go to a restaurant/drive thru which starts a vicious cycle of unhealthy decisions. I also ordered an planner on Etsy which is like the King of all organizers. I went through the Plum Paper Designs Etsy shop and custom-built a planner for every need of my family and personal organization. 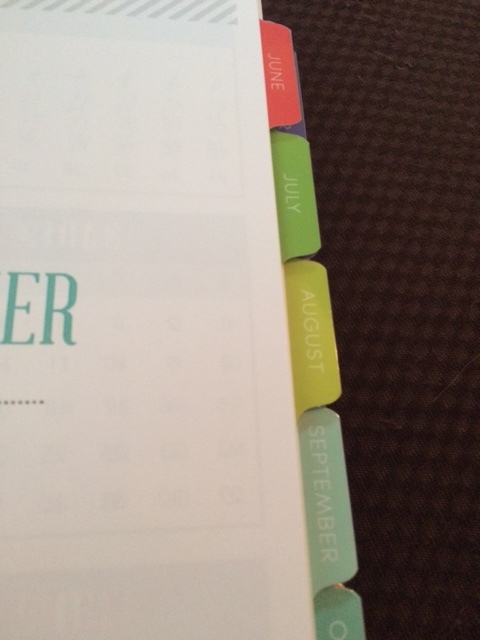 This particular planner can get pricy depending on how you want to use it. For me, I purchased an add-on to help keep my blog and household organized. I ended up paying close to $40.00, but they have basic planners that start cheaper at around $16.00. From the moment I received my customized planner I knew I had fallen in love. The size was perfect for fitting into nearly everyone of my totes/purses. The paper was thick and durable. The colors were bright and exciting. 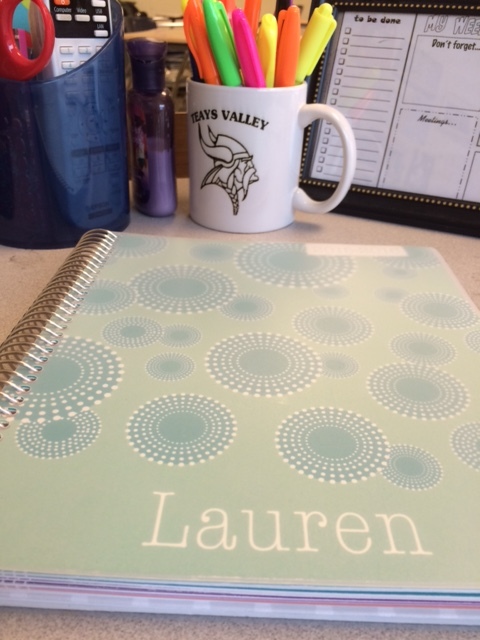 I was enticed with the scheme and design I created and I couldn’t wait to begin planning my life, fitness, reading, and blogging in this little Book of Lauren. 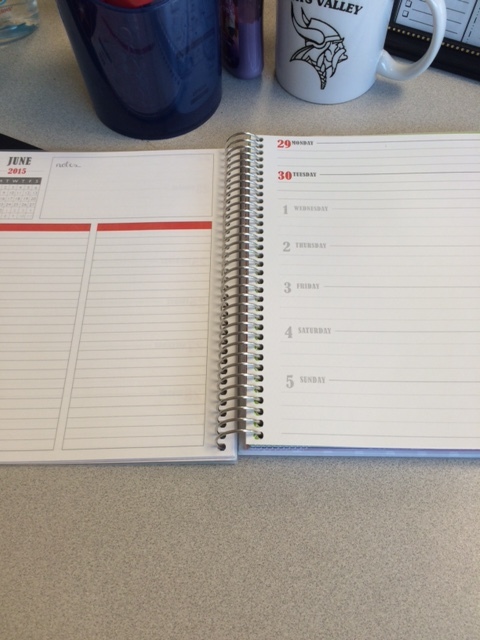 Here is a look at the monthly view of the planner. This is where I record upcoming events, birthdays, bills, and deadlines. Lastly, here is a look at the weekly layout I chose for my planner. Plum Paper Designs has several weekly layout views to choose from. I found this particular template fit my needs best. As a writer it is imperative to have plenty of space to record ideas and plans. On the left hand side I have space for notes and on the right side there is space beside each date to plan the blog post for that day and jot down some basic ideas like photos to use or resources to reference. I have been most successful in my blogging when I plan posts a week or so in advance and spend several days cultivating each post. I don’t like being disorganized because that oftentimes leads to feeling rushed and producing a less than satisfactory product. This has helped me get ideas on paper and plan accordingly when documenting photographs and ideas. I’ve enjoyed the entire process from selecting the theme, layouts, add-ons and using the pages I created to help keep myself on top of everything. My sister even checked out my planner and asked for one as part of her graduation gift as well so we are eagerly awaiting its arrival any day now. 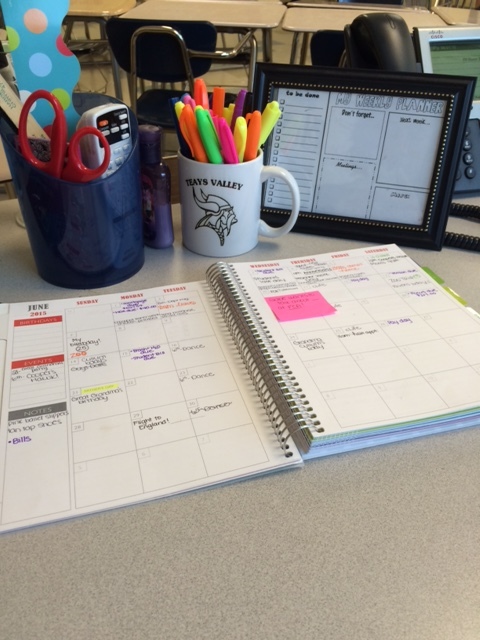 She preferred the Student Planner for herself and the cost was much lower than mine because she did not go with all the bells and whistles that I did. That’s what is so cool about customized planners, you get exactly what you need for your lifestyle.